Running a little behind – kind of the usual thing this time of year. I’ve probably explained before, but in any kind of retail construction, this is the busy season. We have to complete our construction so that the facilities can be in use on time, ensuring that all of our customers can fulfill all Christmas and Holiday wishes. I’m already worried about October and November, though also worrying about the heatwave in the west… there’s always something! But of course, it keeps me out of trouble – well, except it keeps me in trouble with my blogging. I get sidetracked on a regular basis. For whatever reason, I didn’t get this salad made early. I did, however, make it on Friday – but then the weekend got away from me – mostly because we had a family get-together since one of my nieces was in town. Since I’d arranged it for someone else’s house, and I know she’d be craving Mexican food – that’s what I was up to on Saturday – with the festivities themselves on Sunday… so oh well! Back to the yummy slaw. Because I am often behind, and sometimes a little lazy, I decided to take advantage of the pre-prepped veggies at the store. Cue slaw mix and broccoli slaw mix – I did manage to cut up a crispy apple into matchsticks, however. I also added the chopped hard boiled egg – a new twist for me. I’m not sure that it was particularly essential – but then again, I haven’t made this recipe without it. You’ll need about 6 cups of veg for the dressing with 1 c mayo. The dressing is simple to prepare. The recipe says to let it sit for a couple of hours if you have them. I didn’t, but we’ll get back to that. The creamy version is a simple mixture of mayonnaise, red wine vinegar, quite a bit of garlic, a bit of dijon and a fair amount of black pepper. We had this with some grilled steak for dinner – oh, with some fresh corn, grilled alongside. This was very good, and we enjoyed it. I liked the apple – it was a nice crunch, and reminded me of slaws growing up – my mom would add crushed pineapple. The broccoli slaw added some additional crunch. And I think that the option of adding toasted almonds was a good one. Though didn’t this time. We ate this over a couple of days. And the flavors mellowed for the next day’s meal. That’s what made me remember that the dressing was supposed to sit longer. I thought both were good, and while some might be concerned about the high level of seasoning in the dressing – it both mellows with the wait, and gets calmed down a bit by all of the vegetables. I may just make a bit more – and possibly try the vinaigrette option – it’s so nice to have a salad in the refrigerator to grab quickly on these busy summer days. 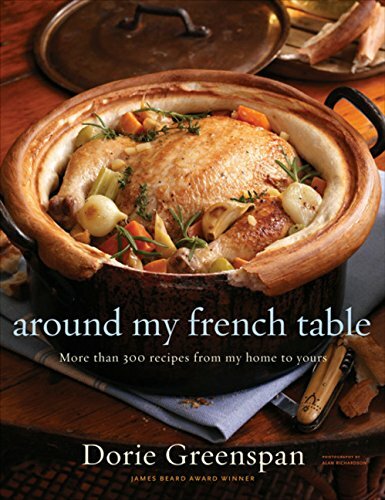 This is yet another great recipe from My Paris Kitchen by David Lebovitz. 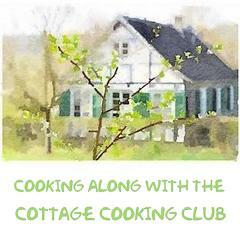 You can check out what our other Cook the Book Fridays bloggers thought about this recipe by following this link. Posted on July 6, 2016 by dulceshomePosted in Cook the Book Fridays, salads, Uncategorized, vegetablesTagged slaw. Sometimes precut vegetables make all the difference in whether there’s time for salad or not. I enjoyed the full amount of garlic in the dressing, too. I’ll be making it as written often. I’m going to try the vinaigrette, too. Everyone who did liked it. Your Mexican feast looks incredible! Thanks!!! It was a lot of fun to put together too. I am so gonna try broccoli next! A great non-recipe recipe… I made for the fourth time tonight! I liked the broccoli. I always see it, but never buy it. Definitely makes it a quicker effort! 😊 And it was really tasty! I too loved this slaw. Your feast looks great- that corn salad caught my eye! Thanks!!! The salad is based on the one in the link below. I didn’t put it together (gotta make my bro do something! 😊). But usually we’ll throw in a splash of margarita mix instead of lime and use all grilled corn. It’s one of our favorites! I am not against anything that makes your cooking experience easier and tastes just as good. The slaw pre-packaged combo seems like a good one. I forgot to put the apple in mine but used everything else including beets (used the prepackaged babies). I would have liked to participate in your Mexican feast. You are one good and generous cook, that’s for sure. No matter when you post, I like to read it. My blog is up and running again, thanks to Google, Sitelock, GoDaddy and my crying! Oh yay!!! I’m glad it got back up and running!! And thanks for the props! I’d be delighted to cook for you! Good to know that the slaw ages well over a few days. I like all the helpful tips on the prepackaged veggies, apple slices and crunchy broccoli. You have given me some really good recipe ideas. Good idea when you are time crunched to use precut veggies. I like the idea of using apples too! Your slaw looks great. The dressing was very tasty!